2. The Treasurer, acting on behalf of the other Group Executive members, has overall operational responsibility for the governance and maintenance of Group finances. a. meet its legal and other obligations, regarding the Policy, Organisation & Rules (POR), of The Scout Association, the Charities Act (1992), HMRC and common law. b. enable the trustees to be in proper financial control of the Group. c. enable the Group to meet any obligations and requirements of any funders should there be any. a. an account book or computer printouts recording all the transactions in the Group’s bank account(s). The Trustees agreed to use a web-based accounting package (which supports financial management and reporting) from April 2018. 5. Our financial year ends on 31 March. 6. We will draw up accounts at the end of the financial year and have them examined by a suitable person who is independent of the Our annual end of year accounts will be reviewed by the executive committee and then recommended to the Group’s annual general meeting for approval. 7. Before the start of the financial year, we will set a budget for the following year which will be approved by the executive committee. 8. We will discuss a financial report at each GEC meeting showing income and expenditure against budget, an explanation of key variances and recommended actions and current bank balances. This will be a written report and will provide the Trustees with enough information to make good When possible, it will also show expected/forecast future receipts and payments. a) We have a current account with Barclays, Leicester, LE87 2BB. b) All bank transactions will go through our current If we pay money into any other account, it will be as a transfer from the current account. c) Up to two members of the GEC are signatories to the accounts and this must include the Treasurer. The bank mandate lists the people who can sign payments. Changes to the bank mandate will be approved by the Trustees and minuted. d) Any withdrawals or transfers between accounts are signed or digitally authorised via online banking by two of the signatories one of whom will be treasurer. e) The bank provides monthly statements every month and we reconcile the statements against our account book / online account. a) If we receive cash we issue a receipt and keep a Leaders are advised to avoid accepting cash payments from members where possible. b) Where we receive cash from the public at fundraising events two members of the Group will count up the cash, make a note of the total and sign for it. c) When the treasurer collects cash from a Group member, the treasurer issues a receipt. d) Details of cash received will be entered appropriately in the cash book. e) We bank all cash received – we do not use it for cash payme Cash over £100 is banked within a week. f) We record details of cheques received in the account book and bank the cheques within two weeks. g) The treasurer keeps files of paperwork (either in paper or electronic form) relating to the cheques (e.g. grant award letters or copies of receipts issued by the Group). h) All fundraising and grant applications undertaken on behalf of the Group are done in the name of 1st Linslade Scout Group with the prior approval of the GEC or in urgent the approval of the Group scout leader and Group chair who will provide full details to the next meeting of the Group executive committee. a) Wherever possible, the GEC agrees orders in This will be either shown in the annual budget or discussed at a meeting during the year (and minuted). b) The levels for authorising payments from the Group’s current account are included in Table 1 below. c) The latest approved budget provides the signatories with authority to spend up to the budgeted expenditure and not beyond it. Payments over £101, which are not included in the annual budget, will be reported at the next GEC meeting. d) The Treasurer keeps a file of all the paperwork and checks invoices before making payments. e) Every payment out of the Group’s bank accounts will be evidenced by an original paper or electronic invoice (never against a supplier’s statement or final demand), or an expenses claims form with receipts. The only exceptions to cheques not being supported by an original invoice would be for such items as advanced booking fees or deposit for a venue etc. Here a cheque requisition form will be used and a photocopy of the cheque kept. When making electronic payments a clear payment reference must be used so that invoices can be reconciled. h) Our cheque book(s) (unused and partly used) is kept under lock and key. i) We will not sign a cheque without paperwork to support the pay. j) We will never sign a blank cheque. The relevant payee’s name will always be inserted on the cheque before signature and the cheque stubs will be properly completed at the time of payment. k) Two signatories are required on each cheque or electronic payment. n) Cash point cards are not used for the Group account and if issued by the bank they will be immediately cut up and disposed of appropriately. Cash point cards are permitted to be used by Section Leaders. a) Sections operate their own bank accounts in accordance with the guidance in this policy. They receive a payment from the Group Account at the start of every term for general scouting activities. The GEC sets the level of payment when setting the annual budget. Sections may request additional payments which will be considered in accordance with the authorisation limits in Table 1.
b) The Treasurer undertakes a termly overview and a detailed reconciliation at the year end. b) We would hold a petty cash float separate from incoming cash. c) Petty cash payments would not be made before we have entered the full amount of incoming cash into the petty cash book. a) Membership fees are paid monthly by standing order monthly (12 payments per year) or annually by cheque, in advance. b) Membership fees are set by the GEC and are reviewed as required by the needs of the Group. c) Membership fees for the child (ren) of Section Leaders (SL), Assistant Section Leaders (ASL) and Section Assistants (SA) may be discounted at a rate determined by the GEC as an incentive to encourage more volunteers. On the advice of the Scout Association, this should not stop a SL, ASL or SA serving as a Trustee although their interest must be declared and minuted and they should not take part in any discussion concerning the level of discount. d) Gift Aid is claimed wherever possible. a) A small amount of money is set aside for when any members or members’ families are experiencing financial challenges. 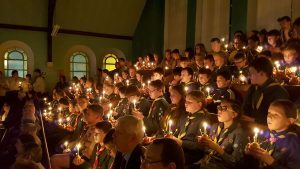 The aim of the fund is to help ensure that no Young People, whose families are suffering financial challenges, lose out from Scouting activities. It is intended to enable Young People in a situation where funds are tight. Allow the Young person to attend a specific event. c) In return parents / carers may be asked to volunteer some time to assist the Group. d) Group members (or their parents on their behalf) are asked to contact the GEC to discreetly consider the request. 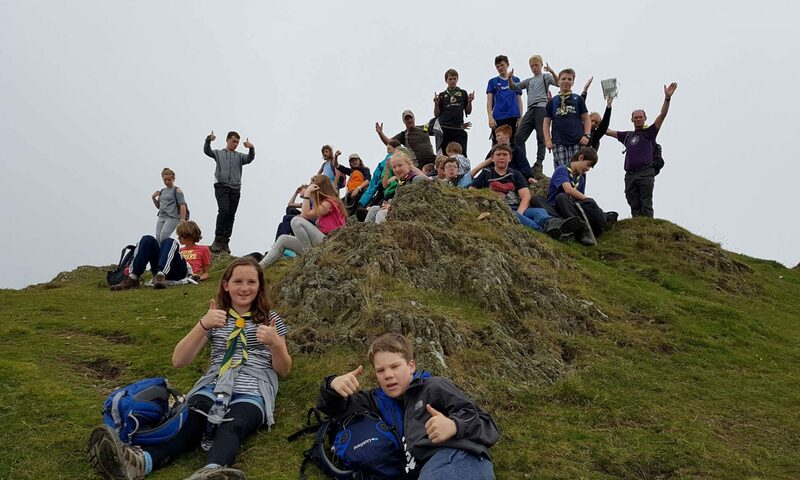 a) The Group does not expect a volunteer uniformed Leader or supporter of the Group to be out of pocket as a result of providing purchased items or services for the genuine and direct benefit of the Group and its young people or as required by the Scout Association. All such expenses will be reimbursed against receipts. b) In order to maintain financial control, all expenses (except petty cash items) should be approved by the Group Scout Leader or the Group Chair, as appropriate. a) Camps, Beaver sleepovers and other residential experiences should cover its costs including an allowance for wear and tear. b) Outings, excursions and expeditions should break even financially. In some circumstances, the GEC may approve a subsidy in advance. c) Some activities may be entirely funded by the Group (such as District organised competitions and outings). d It is the responsibility of the Leader in charge of the event to ensure that it is properly budgeted and financed (including subsidy approvals) and that all required monies are collected prior to departure. a) The Group shall encourage adults to apply for a full uniform Leadership Appointment and will provide the necessary financial support. b) The Group shall pay the annual Scout Association Membership fee (as charged by Leighton – Linslade Scout District) where appropriate. 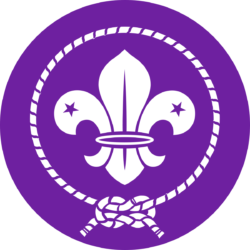 c) The Group shall fund training as specified by the Scout Association and will seek reimbursement from the District, County or Scout Headquarters if available. a) The Group will adhere to good practice in relation to its finances at all times, eg. when relevant we will set up and maintain a fixed asset register stating the date of purchase, cost, serial numbers and normal location. a) Our Group, like most charities, hold some funds in Our level of reserves is set to ensure that there is sufficient resources to continue the core charitable activities of the Group should income and fundraising activities fall short. b) The Group executive committee considers that the Group should hold a sum equivalent to 6 months running Should the level of reserves falls below the target level, the Group executive committee will make efforts to restore the level as soon as possible. a) The Group reserves the right to apply reasonable fees or charges to Parkers Pioneers Explorer Unit (for example, to cover the use of the hall) to be agreed from time to time by the Executive Committee. a) Currently the Group does not have sufficient funds to invest in longer term investments. The Group has therefore adopted a low risk strategy to the investment of its funds which are held in the Group account with Barclays. b) The Group executive committee regularly monitors the levels of bank balances and the interest rates received to ensure the Group obtains maximum value and income from its banking arrangements. Occasionally this may involve using an account that requires a period of notice before funds may be withdrawn, before doing so the Group executive committee considers the cash flow requirements.